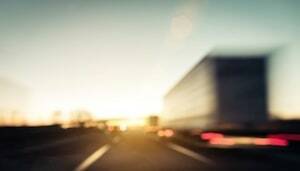 It is critical to begin an investigation of an accident involving a tractor trailer immediately in order to retrieve and preserve evidence in the event of a compensation claim. One of the most important pieces of evidence that must be grabbed quickly after a truck accident is the "record of duty." This log contains a list of all stops made during a trip and is kept for each 24-hour period as required by federal law. The record of duty will track how many hours the driver has been operating and will show all rest periods, which are also regulated by law. Supporting documentation must also be available during an audit such as toll records, fuel receipts and bills of lading. An examination of the record of duty can reveal data that may point to a driver who was speeding or operating a big rig while fatigued. However, the driver and trucking company are required to maintain the record of duty for only up to 6 months, so that information must be obtained as soon as possible. Many large trucks, especially those manufactured beginning in the 1990's, are equipped with electronic control modules, or black boxes. These are similar to those found on commercial aircraft and record data including average and highest speeds, time driven, average RPMs, air bag performance, idling time and seat belt usage. This evidence may be critical in determining negligence in an accident, but is only available for a limited time. Also, if the truck is returned to service, the black box data may be overwritten. Other crucial evidence in a compensation claim involves documenting the crash scene. Photo and video documentation will capture the roadway scenario and involved vehicles as well as weather conditions, property damage and any adjacent signage and traffic lights. Recording information about the scene of an accident must be done on a timely basis as the scene will quickly change. For example, skid marks may fade and disappear within a few weeks, so it is important to have photo evidence of these before they are unavailable. Proper retrieval of evidence as part of an early truck crash investigation can make the difference between a successful or failed truck accident compensation claim. If you or a family member has been harmed in a truck accident or car accident, slip and fall or any other type of personal injury, please contact the Law Offices of Diana Santa Maria, P.A.immediately. Our experienced attorneys will fight for the compensation you deserve. Please call us for a free consultation. Attorneys Diana Santa Maria and Laura D. Dolin, personal injury attorneys in Fort Lauderdale, will fight to secure justice for you and your family. You can reach us at (954) 434-1077 or contact us via the website.